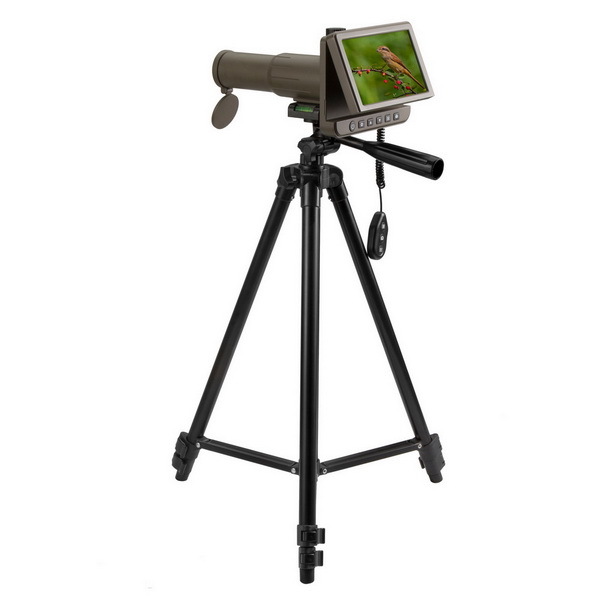 The 50x 5.0-inch LCD Digital Telescope is a new-generation portable, easy to operate Digital telescope & Monocular DV that allows you to see what in the distance on its 5.0-inch high resolution IPS display clearly. It allows you to capture stunning 1080p video and 14M photo so easy. Storage by Micro-SD card and powered by built-in rechargeable battery. With the 50x 5.0-inch LCD Digital Telescope, seeing far distance is no longer a pain; it is now a sheer pleasure.